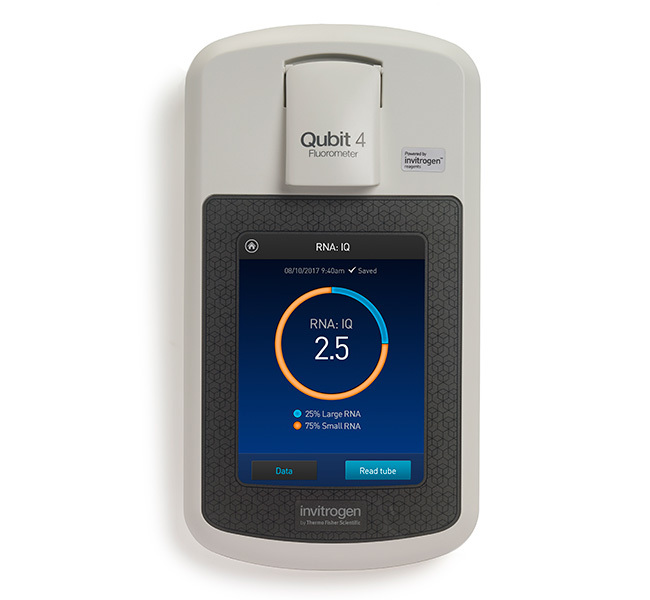 The new Invitrogen™ Qubit™ 4 Fluorometer is designed to quickly and selectively measure DNA or RNA. 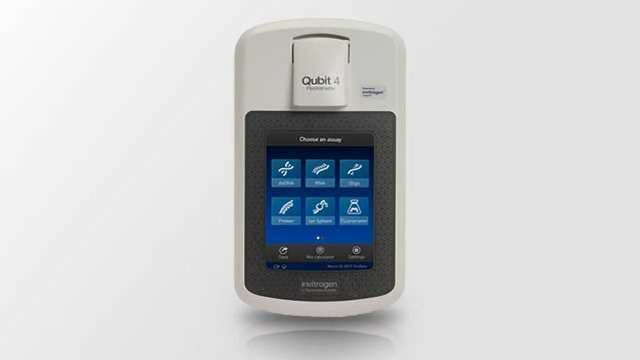 The Qubit 4 Fluorometer can also measure RNA integrity and quality. 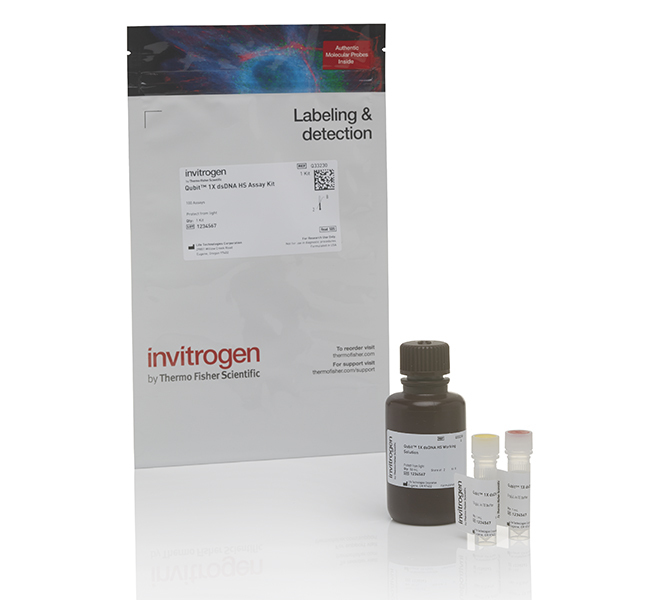 Developed to quickly assess the quality and integrity of an RNA sample, this assay works by utilizing two unique dyes—one that binds to large, intact and/or structured RNA, the other selectively binds to small, degraded RNA. A proprietary algorithm is used to report a quality score representative of the ratio of small and large and/or structured RNA in the sample. The score is a value from 1 to 10, similar to other RNA quality scores. 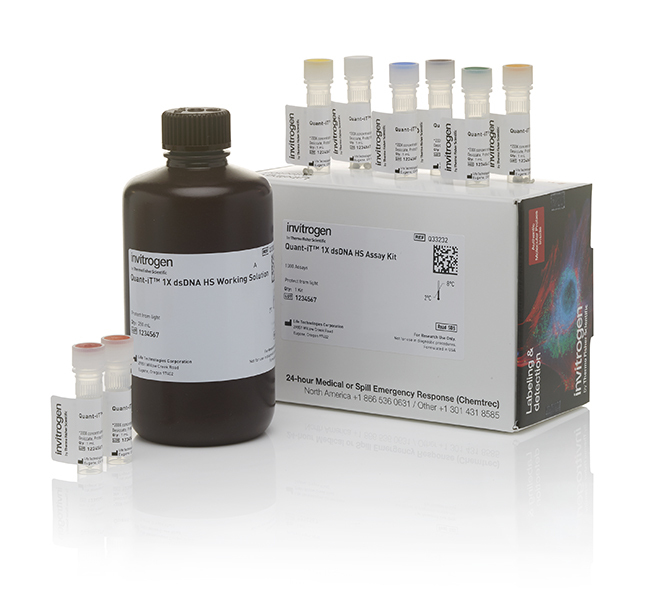 With the Qubit RNA IQ Assay, a small number indicates that the sample is comprised of mainly small RNA and a larger number indicates that the sample consists of mainly large RNA or RNA with tertiary structure.